Well, we’ve done it. 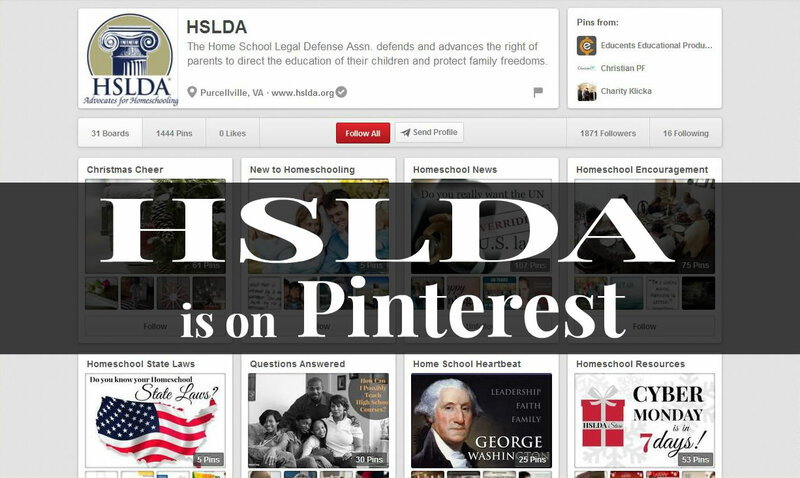 HSLDA has started a Pinterest account! Head on over to our Pinterest page and check out all the goodies we’ve collected for you! There’s a board for everyone! Are you new to homeschooling? We’ve got you covered! Looking for some delicious, yet budget friendly recipes? We’ve got those recipes! How about some Christmas crafts or activities to do with your family? You’ll find all that and more over on HSLDA’s Pinterest page! Christmas Cheer: Christmas crafts, recipes & treats, savings, activities, and more! And all family friendly! New to Homeschooling: Are you new to homeschooling? If so, we’ve got the resources and the answers to your questions here! Homeschool News: The latest national homeschooling news. Homeschool Encouragement: Encouragement for all you hardworking homeschoolers! State Homeschool Laws: Do you know your homeschooling state laws? Questions Answered: We will try to answer all your homeschooling questions here! ← Clicks for Homeschooling | How You Can Make a Difference!